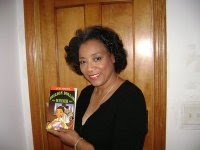 Arlene Jones - Featured Columnist Austin Weekly News: What's in a Name????? UPDATED AT 9:44 PM: EASTON, Pa. — The father of 3-year-old Adolf Hitler Campbell, denied a birthday cake with the child’s full name on it by a New Jersey supermarket, is asking for a little tolerance. Heath Campbell and his wife, Deborah, are upset not only with the decision made by the Greenwich ShopRite, but with an outpouring of angry Internet postings in response to a local newspaper article over the weekend on their flare-up over frosting. “I think people need to take their heads out of the cloud they’ve been in and start focusing on the future and not on the past,” Heath Campbell said today in an interview conducted in Easton, on the other side of the Delaware River from where the family lives in Hunterdon County, N.J.
Deborah Campbell, 25, said she phoned in her order last week to the ShopRite. When she told the bakery department she wanted her son’s name spelled out, she was told to talk to a supervisor, who denied the request. The Campbells ultimately got their cake decorated at a Wal-Mart in Pennsylvania, Deborah Campbell said. About 12 people attended the birthday party Sunday, including several children who were of mixed race, according to Heath Campbell. “If we’re so racist, then why would I have them come into my home?” he asked. Heath Campbell said he named his son after Adolf Hitler because he liked the name and because “no one else in the world would have that name.” He sounded surprised by all the controversy the dispute had generated. Campbell said his ancestors are German and that he has lived his entire life in Hunterdon County. Today, he wore a pair of black boots he said were worn by a German soldier during World War II. He said he was raised not to avoid people of other races but not to mix with them socially or romantically. But he said he would try to raise his children differently.